Hey lovies! I really think lip balms don't get as much recognition as they should. I love them so much and sometimes, I don't even wear lipstick. I just use a lip balm and I'm good to go. It seems like I'm the last person on the planet to try out the eos lip balm. I've heard a lot of mixed reviews about this product but for some reason its still really popular! I'm a sucker for cute packaging! 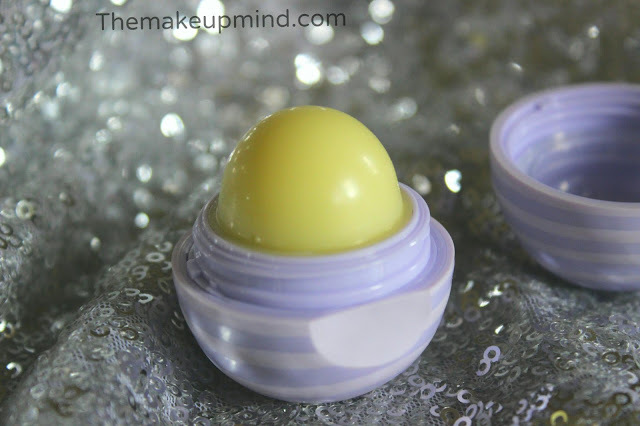 This lip balm comes in the shape of a cute little egg and it comes in different colors. I have to admit, it definitely looks cute in my makeup purse. In this, you actually get a lot of product so you can be sure that this will last a really long time. One thing I love about this product is that it is made out of 99% natural ingredients which is great for children and for people who have sensitive skin. Upon application, this does not feel very nice on the lips compared to the lip balm i usually use. I have to apply it on my lips several times before my lips feel moisturized. When applied, it doesnt make my lips feel soft, neither does it sink into the lips as marketed. It just kind of stays on the top of the lips. 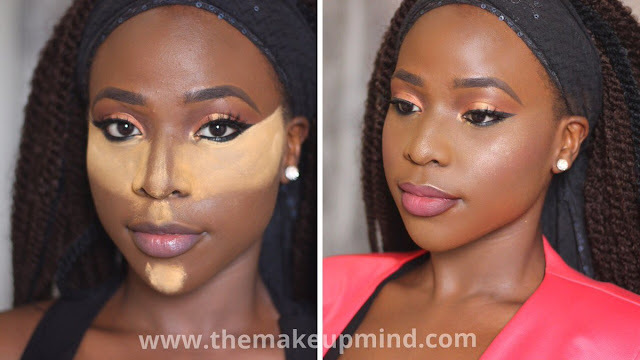 I tried this on when I had cracked lips and it didnt help at all. When my lips were back to normal, the lip balm felt a lot better but still not so great. If you are someone who has normal lips that aren't dry then this would be okay for you. But if you are someone who has dry lips, then this is definitely not the product for you. It's not as bad as some people make it seem but it is not as good as the Maybelline baby lips which I completely love. Good old vaseline is the best lip therapy in my opinion. Tried and trusted! Im also a lip balm junkie and Ive tried several brands. But I still keep going back to vaseline. (All these other brands are made from a petrolatum base aka vaseline-so y pay extra? :-) If you have really dry lips just make sure you apply vaseline before your lip makeup application and last thing at night, also reapply during the day when your lips feel dry and you are on your way to having succulent lips!!! 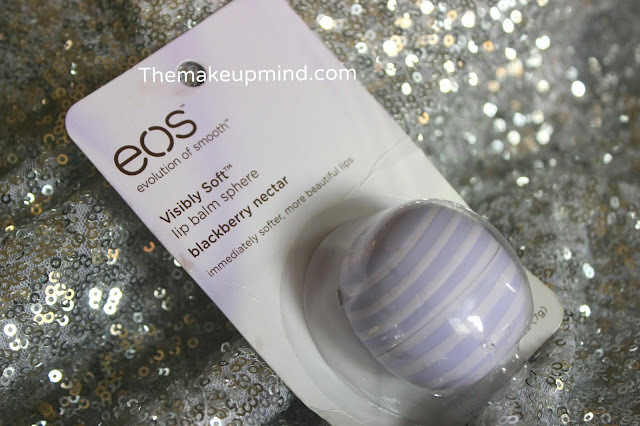 I use the EOS lip balm and it feels like vaseline to me. Nothing special like you said. 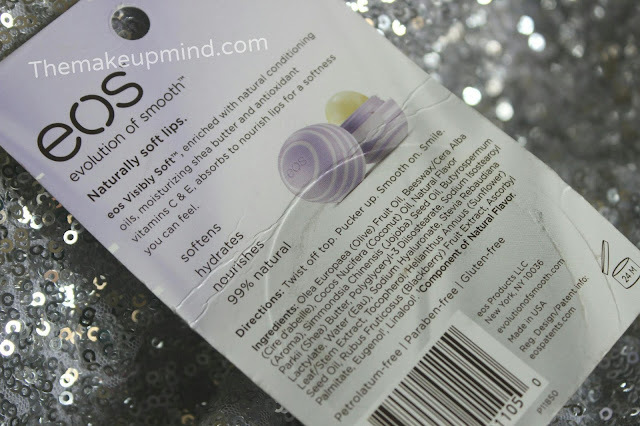 I've used the EOS lip balm and I reacted to it. Had rashes and dark patches on my lips. Had to go back to my trusty maybelline baby lips.